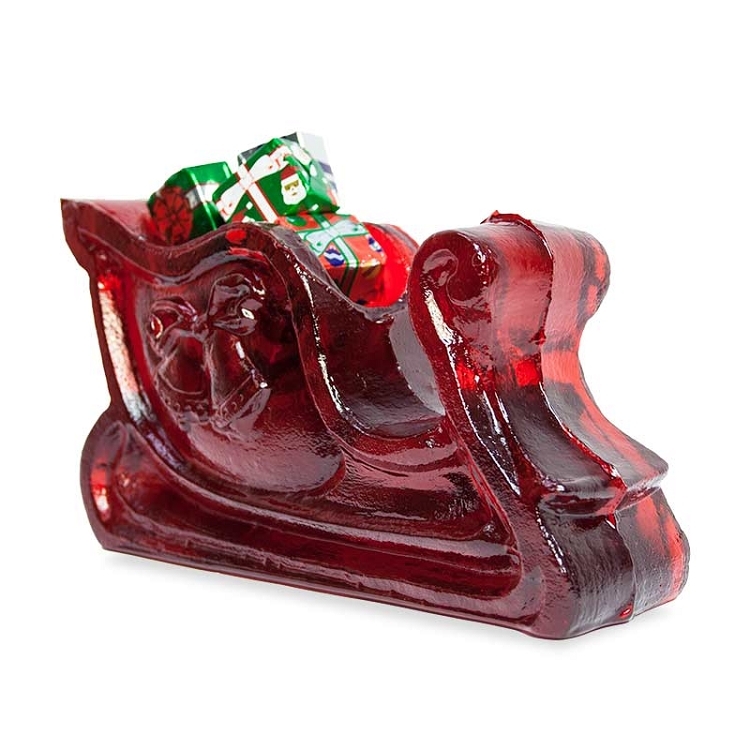 Our 3D Candy Sleigh is made from an antique 3D candy mold and filled with mini chocolate presents. This item comes in red (peppermint). Also available in red (cherry) or barley. 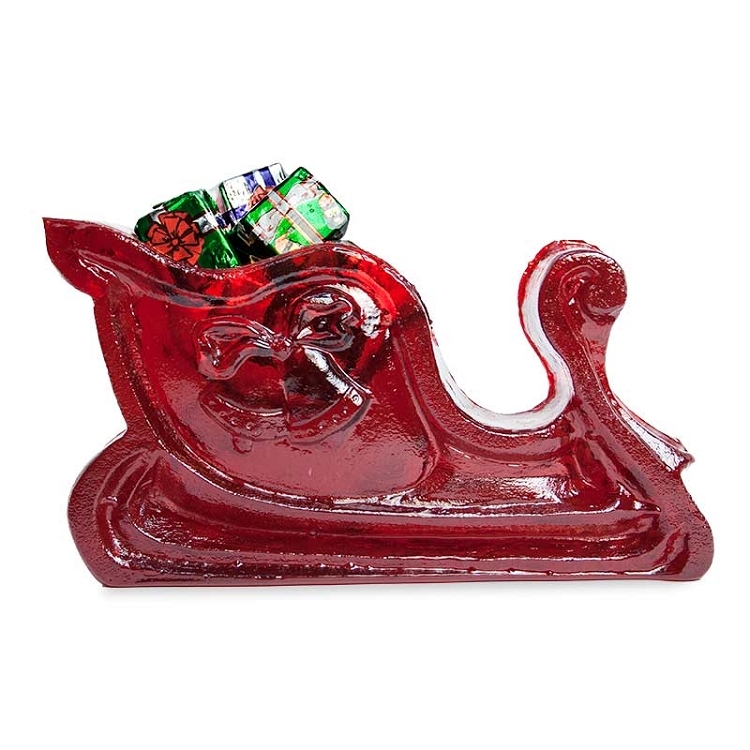 Each sleigh is hand-poured; slight variations will occur.